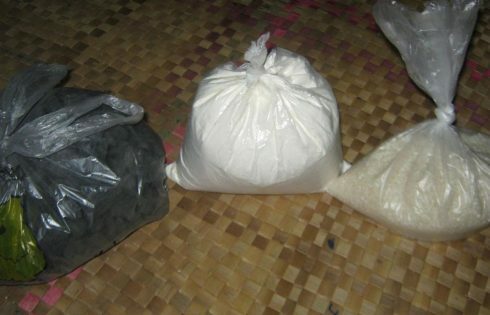 Vanuatu Daily Post – A mother who walked out of a Chinese shop carrying rice, flour and charcoal in plastic bags, has questioned why the Government has banned plastic bags in all shops yet allows the Chinese shops to continue selling rice, flour and charcoal in plastic bags to shoppers. She said this is unfair because the government has banned plastic bags and told shoppers to use local baskets to carry their shopping home, yet the Chinese shops are still allowed to sell their products in the very same plastic bags. She said if this practice continues, it will never solve the problem of plastic bags. “The mothers can easily re-use the same plastic bags for rubbish and or even for other purposes that will eventually end up along the road side or along the seashore or just blown around by the wind because they are light,” she said. The mother suggests that maybe the government should encourage the Chinese shops owners to reintroduce what she describes as ‘Brown Paper Bags’ that come in large, medium and small sizes which she said were used by the Chinese shop owners and other shops in Port Vila prior to independence in 1980. The Daily Post could not get comments from the relevant Government authorities as it was Sunday.